ALLEGRA BOVERMAN/Staff photo. Gloucester Daily Times. 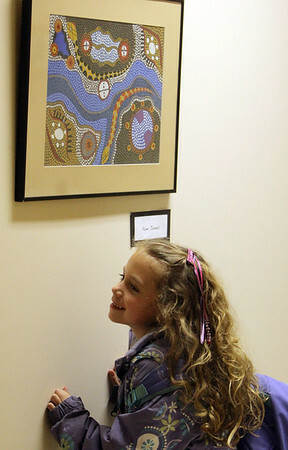 Rockport: During the opening of Gallery 24 @ Jerdens Lane at Rockport High School, Jessica Jones, 6, stands near the artwork of her mother, Pam Jones, a Rockport Middle School art teacher.